Lemon is a well-known remedy and natural cure for many health problems, and we cannot deny it. Fans of lemon across the globe are testifying to the exceptional benefits that lemon has on the body and its qualities when it comes to preserving the health. However, you may not be aware that lemons are more than just a true source of health and they can be used for numerous purposes. Analyzing countless articles and people’s experiences, we are presenting a list of all less known lemon benefits. One of the main systems in our bodies is the digestive system. To get it to operate to perfection, lemon water will do the trick. Due to pectin fiber inside lemons, the colon will be stimulated to work ideally and get cleansed as well. Drink lemon water each morning in order to improve the work of your digestive system and destroy toxins build up from the day before. Since ancient times, lemons have been used to revive their organisms and boost their energy. As a result of the rich electrolyte content, lemons are perfect for making up for all lost liquids. Lemon water is a great way to rehydrate after sweating, exercising and basically on a daily basis. When we were kids our parents used to tell us that eating carrots is good for the eyes. Today, parents can replace carrots with lemons when it comes to vision. Lemons are citrus fruits, loaded with antioxidants and vitamin C and this combination has the ability to protect the eye from macular degeneration and cataracts. Since lemon water gets you hydrated amazingly, it is naturally a great way to get rid of any skin problems. Lemon water allows the skin to retrieve its natural glow, shine and silkiness. The more you consume it, the more effect you will notice on your skin. Because it is packed with antioxidants, lemon water may just be the optimal skin cleanser products. The liver comes first in regards to obtaining a great health. To make sure that your liver works to the best of its ability, lemon water is the key. 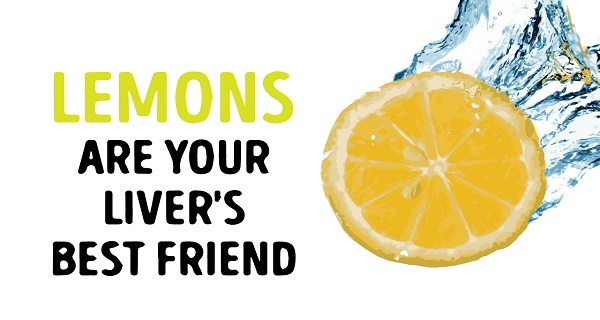 As a toxin cleanser and a natural antioxidant, lemon water will provide all benefits your liver needs to stay healthy. Alongside bananas, lemons are also a great potassium environment, needed for preserving your health. The mineral is one of the most important minerals that an organism needs to be in a perfect health state. Consuming lemon water will bring you a fantastic source of potassium and will, in the long run, keep your liver, brain, heard and muscles healthy and in a good shape. Certain health problems, like colds and fever, can be easily treated by consuming lemon water regularly. Since lemons are packed with vitamin C, significant for fighting bacteria and infections, lemon enable the body to fight off these threats naturally and successfully. One of the best aspects about lemons is that, although they may have an acidic taste, they do not cause acidity inside the organism. Moreover, they stabilize the pH balance inside the body by creating alkalization. This will, further on, help your digestive system to work even better. Lemon water drinking is going to simply improve your overall health and regulate any cholesterol imbalance and help with treating diabetes issues. This lemon water benefit comes as a great solution for those who are looking forward to losing weight. What lemon water does is, it boosts and accelerates the metabolism and burns more fats in the process. Also, it suppresses unhealthy food cravings as a result of its pectin fiber content. Although the first cup of coffee in the morning is a ritual for many people, lemon water can bring the exact same effects with a more healthy kick. Furthermore, coffee’s effects last only two to three hours, whereas lemon water can act for an entire day and keep you active and energized. By drinking lemon water for 15 days, your organism will perform a lot better and will allow you to feel powered-up and ready to handle stress with ease.